The German occupation of Luxembourg in World War II began in May 1940 after the Grand-Duchy of Luxembourg was invaded by Nazi Germany. Although Luxembourg was officially neutral, it was situated at a strategic point at the end of the French Maginot Line. On 10 May 1940, the German Wehrmacht invaded Luxembourg, Belgium and the Netherlands. Luxembourg was initially placed under a Military administration, but later became a civilly administrated territory and finally was annexed directly into Germany. The Germans believed Luxembourg to be a Germanic state, and attempted to suppress what they perceived as alien French language and cultural influences. Although some Luxembourgers joined the resistance or collaborated with the Germans, both constituted a minority of the population. As German nationals, from 1942, many Luxembourgers were conscripted into the German military. Nearly 3,500 Luxembourgish Jews were killed during the Holocaust. The liberation of the country by the Allies began in September 1944, but due to the Ardennes Offensive it was not completed until early 1945. The Maginot Line, named after the French Minister of War André Maginot, was a line of concrete fortifications, obstacles, and weapon installations built by France in the 1930s to deter invasion by Germany and force them to move around the fortifications. Constructed on the French side of its borders with Italy, Switzerland, Germany, and Luxembourg, the line did not extend to the English Channel due to French strategy that envisioned a move into Belgium to counter a German assault. The outbreak of World War II on 1 September 1939 put Luxembourg’s government in a delicate situation. On the one hand, the population’s sympathy lay with Belgium and France; on the other hand, due to the country's policy of neutrality since 1867's Treaty of London, the government adopted a careful non-belligerent stance towards its neighbours. As of 1 September, Radio Luxembourg stopped broadcasting. In spring 1940, fortifications were erected along the borders with Germany and France. The so-called Schuster Line, named after its constructor, consisted of massive concrete roadblocks with steel doors. The official aim of these road blocks was to slow down the progress of any invading army and give time for the guarantors of Luxembourg's neutrality to take counteractions against the invaders. However, compared to the massive power of the German forces, it only had symbolic character and helped to calm down the population. Except for its small Corps des Gendarmes et Volontaires , Luxembourg did not possess an army, due to the treaty's restrictions. A non-belligerent is a person, a state, or other organization that does not fight in a given conflict. The term is often used to describe a country that does not take part militarily in a war. The status does not exist in international law. The Schuster Line was a line of barriers and barricades erected by the Luxembourg government along its borders with Germany and France shortly before World War II. The line was named after Joseph Schuster, Luxembourg's chief engineer of bridges and highways, who was responsible for its construction. After several false alarms in the spring of 1940, the probability of a military conflict between Germany and France grew. Germany stopped the export of coke for the Luxembourgish steel industry. The steel doors of the Schuster Line were ordered closed on 10 May 1940 at 03:15, following movements of German troops on the east side of the border rivers Our, Sauer and Mosel. In the meantime, German special forces dressed as civilians and supported by Germans living in Luxembourg - the so-called Stoßtrupp Lützelburg - tried to sabotage radio broadcasting and the barricades along the German-Luxembourgish border but their attempt failed. The Royal Family was evacuated from its residence in Colmar-Berg to the Grand Ducal palace in Luxembourg City. The Brandenburgers were members of the Brandenburg German special forces unit during World War II. Originally the unit was formed by and operated as an extension of the military's intelligence organ, the Abwehr. Members of this unit took part in seizing operationally important targets by way of sabotage and infiltration. Being foreign German nationals who were convinced Nazi volunteers, constituent members had lived abroad and were proficient in foreign languages as well as being familiar with the way of life in the area of operations where they were deployed. The German invasion, made up of the 1st, 2nd, and 10th Panzer Divisions began at 04:35. They encountered no significant resistance save for some bridges destroyed and some land mines, since the majority of the Luxembourgish Volunteer Corps stayed in their barracks. Luxembourgish police resisted the German troops, however, to little avail; the capital city being occupied before noon. Total Luxembourgish casualties amounted to 75 police and soldiers captured, six police wounded, and one soldier wounded. At 08:00, elements of the French 3rd Light Cavalry Division (fr ) of General Robert Petiet (fr ), supported by the 1st Spahi Brigade of Colonel Jouffault[ citation needed ] and the 2nd company of the 5th Armoured Battalion, crossed the southern border to conduct a probe of German forces; these units later retreated behind the Maginot Line. By the evening of 10 May 1940, most of the country, with the exception of the south, was occupied by German forces. More than 90,000 civilians evacuated from the canton of Esch-sur-Alzette as a consequence of the advance. 47,000 fled to France, 45,000 fled into the central and northern part of Luxembourg. The 1st Panzer-Division was an elite armoured division in the German Army, the Wehrmacht, during World War II. The 1st Spahi Regiment is an armored regiment of the modern French Army, previously called the 1st Moroccan Spahi Regiment. It was established in 1914 as a mounted cavalry unit recruited primarily from indigenous Moroccan horsemen. The regiment saw service in the First World War, and in the Second World War as part of the Forces Françaises Libres, as well as post-war service in the French-Indochina War and elsewhere. The modern regiment continues the traditions of all former Spahi regiments in the French Army of Africa. Grand Duchess Charlotte and the government of prime minister Pierre Dupong fled to France, Portugal and the United Kingdom, before finally settling in Canada for the duration of the war. 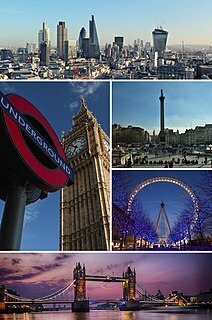 Charlotte, exiled in London, became an important symbol of national unity. 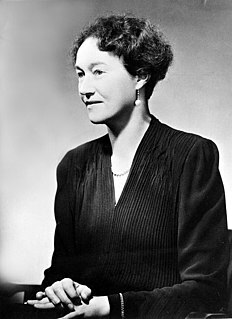 Her eldest son and heir, Jean, volunteered for the British Army in 1942. The only official representative left behind was Albert Wehrer (de ), head of a governmental commission, as well as the 41 members of the Chamber of Deputies. Pierre Dupong was a Luxembourgish politician and statesman. He was the 16th Prime Minister of Luxembourg, serving for seventeen years, from 5 November 1937 until his death, on 23 December 1953, and was also responsible at different times for the ministries of finance, the army, agriculture, labour and social matters. He founded the Christian Social People's Party (CSV) as the main conservative party after the Second World War, having been a founding member of the Party of the Right (PD) in 1914. On 13 July 1940, the Volksdeutsche Bewegung (VdB) was founded in Luxembourg City under the leadership of Damian Kratzenberg, a German teacher at the Athénée de Luxembourg. Its main goal was to push the population towards a German-friendly position by means of propaganda, and it was this organisation that used the phrase Heim ins Reich . The general public were slow to react at first, still feeling shock from the invasion of 1914–1918. Furthermore, the royal family and the government had silently fled into exile. The majority of the population kept their heads low to avoid any conflict with the authorities; others participated in acts of passive resistance. Autumn 1940. The political parties and independent labour unions, the Parliament and the Conseil d'Etat were dissolved. All civil society organisations and the press were subjected to Nazi control. Till end 1940. German law was introduced including the Sondergerichte and the Nuremberg Laws. 31 January 1941: French-sounding family names, first names, and the names of streets, towns, shops and companies were Germanised, that is, translated into their German counterpart or simply replaced by something more Germanic. Henri became Heinrich, Dupont became Brückner. A massive propaganda campaign was launched to influence the population, while not only dissidents and critics but also teachers, officials and leading business figures were threatened with losing their jobs unless they joined Nazi organisations, which led to much increased recruitment from all professions. A central registry documented the personal opinion regarding the Nazi regime of almost every citizen. People who were openly opposed to the regime lost their jobs or were deported, mainly to eastern Germany and in the worst cases sent to the death camps where many of them died. The Luxembourgish resistance was carried out by only a small fraction of the population. Its formation was spontaneous and slow at first. The first groups were formed from autumn 1940 to summer 1941. In the beginning they worked without coordination and from different motivations, for instance Liberals opposed to the anti-Jewish policies and in favour of democracy as well as conservative Roman Catholics with sometimes more or less anti-national socialist tendencies. Some of the latter category also were at the same time opposed to the Soviet Union and "Bolshevism", hoping that the generals of the Wehrmacht would defeat Joseph Stalin and the Red Army, while at the same time hiding Jews and anti-Nazi clergy mixed together in their farms. The Luxembourg Resistance was joined by the Communist Party of Luxembourg only after the invasion of the USSR in June 1941. Several well-known Catholic and Communist households, and many parishes and priories, also kept a number of Jewish Luxembourgish civilians and foreign Jews hidden and safe. In October 1941, the German occupiers took a survey of Luxembourgish civilians who were asked to state their nationality, their mother tongue and their racial group, but contrary to German expectations, 95% answered "Luxembourgish" to each question. The refusal to declare themselves as German citizens led to mass arrests. Collaboration with the Nazi occupation is an aspect less often talked about in Luxembourg. Studies have shown that collaboration was a phenomenon in all layers of society. There was, however, an over-representation of civil servants among the collaborators. On average, the collaborators were younger than the general population. In early September 1944, approximately 10,000 people left Luxembourg with the German civil administration: it is generally assumed that this consisted of 3,500 collaborators and their families. In 1945, 5,101 Luxembourgers, including 2,857 men and 2,244 women were in prison for political activities, constituting 1.79% of the population. 12 collaborators were sentenced to death and were shot in Reckenthal in Luxembourg City. 249 were sentenced to forced labour, 1366 were sentenced to prison and 645 were sent to workhouses. Before the invasion, 3,900 Jews lived in Luxembourg, many of them refugees from Germany and Austria. On the night of 10 May 1940, about 1,600 of them left the country. After Simon introduced the Nuremberg Laws, life became unbearable for the Jewish population. Their shops, possessions and money were confiscated and all Jewish employees were fired. They were not allowed inside public buildings or to keep pets. Up until 15 October 1941, a further 1,500 Jews left the country on the orders of the authorities. The Gestapo accompanied them to France and Spain but, since they were rejected there, they went on an endless odyssey. One prominent Jewish survivor was Alfred Oppenheimer, a member of the Consistoire (similar to the Jewish Councils of occupied eastern Europe). Together with his family, he was deported to a concentration camp, where his wife was killed and then to Auschwitz where his son Rene was gassed. Alfred Oppenheimer survived the death camp and was one of the witnesses at the trial of Adolf Eichmann. He returned to live in Luxembourg until his death aged over 90, and was known for his involvement in public education about the Nazi regime and the Holocaust. The Prix René Oppenheimer was created in memory of his son. On 17 June 1943, Gustav Simon announced Luxembourg to be Judenfrei . From the 683 deported, only 43 survived. Luxembourg was liberated by Allied forces in September 1944, specifically U.S. Army Combat Command A (CCA), 5th Armored Division. The first U.S. forces entered Luxembourgish territory near Petange on 9 September, and liberated the capital city on 10 September 1944. The Germans retreated without fighting. By 12 September 90% of the Grand Duchy had been liberated. One month before the start of the Battle of the Bulge, 250 soldiers of the Waffen-SS had unsuccessfully tried to recapture the town of Vianden from the Luxembourgish Resistance during the Battle of Vianden. During the Battle of the Bulge, the northern part of the country was hit by artillery from a special unit that the Germans designed to send shells up to 40 km (25 mi) away (see V3), but the Germans did not take the city. The Centre for Documentation and Research on the Resistance and the Centre for Documentation and Research on forced Conscription were founded in 2002 and 2005, respectively, to conduct research on the period of German occupation. They are funded by the government. The German occupation period features in the following drama films: Déi zwéi vum Bierg (1985), Der neunte Tag (2004), Réfractaire (2009), and Emil (2010); it is also the subject of the 2004 documentary Heim ins Reich. 1 2 3 4 5 6 7 8 9 10 11 12 13 14 15 16 17 18 19 20 21 Dostert, Paul. "Luxemburg unter deutscher Besatzung 1940-45: Die Bevölkerung eines kleinen Landes zwischen Kollaboration und Widerstand". Zug der Erinnerung (in German). 1 2 3 4 5 6 7 "Heim ins Reich: La 2e guerre mondiale au Luxembourg - quelques points de repère". Centre national de l'audiovisuel. Archived from the original on 10 June 2007. ↑ Majerus, Benoît (2002). "Kollaboration in Luxemburg: die falsche Frage?". ... et wor alles net esou einfach. Fragen an die Geschichte Luxemburgs im Zweiten Weltkrieg. Ein Lesebuch zur Ausstellung (PDF). Publications scientifiques du Musée d’Histoire de la Ville de Luxembourg. X. Luxembourg. pp. 126–140. 1 2 3 Hellinghausen, Georges. "Joseph Philippe (1935-1956)". Église Catholique à Luxembourg / Katholische Kirche in Luxemburg. ↑ Various (2011). Les Gouvernements du Grand-Duché de Luxembourg depuis 1848 (PDF). Luxembourg: Government of Luxembourg. p. 114. ISBN 978-2-87999-212-9. ↑ "Commémoration à l'occasion du 60e anniversaire de la grève générale du 31 août 1942". Government.lu. 31 August 2002. Archived from the original on 12 May 2013. Retrieved 11 May 2013. ↑ "Luxembourg Volunteers in the German Wehrmacht in WWII". Feldgrau. Retrieved 11 May 2013. ↑ Schoentgen, Marc (October 1997). "Juden in Luxemburg 1940-1945" (PDF). forum (179): 17–19. ↑ Clesse, René (2002). "Shoah in Luxemburg" (PDF). Ons Stad (71). 1 2 3 4 Krier, Émile (1997). "Luxemburg am Ende der Besatzungszeit und der Neuanfang". In Düwell, Kurt; Matheus, Michael. Kriegsende und Neubeginn: Westdeutschland und Luxemburg zwischen 1944 und 1947 (PDF). Geschichtliche Landeskunde. 46. Stuttgart: Franz Steiner. ↑ Trausch, Gilbert (1992). Histoire du Luxembourg. Paris: Hatier. p. 176. ISBN 2-218-03855-2. Braun, Josy (2002). "L'administration municipale: De l'organisation luxembourgeoise au régime nazi" (PDF). Ons Stad (71). Dostert, Paul (1985). Luxemburg zwischen Selbstbehauptung und nationaler Selbstaufgabe: Die deutsche Besatzungspolitik und die Volksdeutsche Bewegung 1940-1945 (in German). Luxembourg: Editions Saint-Paul. Dostert, Paul. "Historique de la Villa Pauly". Seconde Guerre mondiale - Centres de Documentation et de Recherche sur la Résistance et sur l'Enrôlement forcé. Engel, Marcel; Hohengarten, André (1983). Das SS-Sonderlager im Hunsrück 1939-1945. Luxembourg: Editions St. Paul. Fisch, René; Molitor, E (1991). Die Luxemburger Kirche im 2. Weltkrieg: Dokumente, Zeugnisse, Lebensbilder. Luxembourg: Editions Saint-Paul. Fletcher, William Allen (1970). "The German Administration in Luxemburg 1940–1942: Toward a 'de facto' Annexation". The Historical Journal. 13 (3): 533–544. doi:10.1017/s0018246x00009304. Hohengarten, André (2002). "Die Nazi-Gewaltherrschaft in Luxemburg-Stadt" (PDF). Ons Stad (71): 5–11. Krier, Émile (1978). Deutsche Kultur- und Volkstumspolitik von 1933-1940 in Luxemburg. Bonn: Universität. Lesch, Paul (2002). "Les Luxembourgeois et le cinéma allemand au cours de l'Occupation" (PDF). Ons Stad (71). May, Guy (2002). "Die Straßenbezeichnungen der Stadt Luxemburg unter deutscher Besatzung (1940-1944)" (PDF). Ons Stad (71). Nonnenmacher, Georges Gilbert (1966). La grande honte de l'incorporation de force des Alsaciens-Lorrains, Eupenois-Malmédiens et Luxembourgeois dans l'armée allemande au cours de la deuxième guerre mondiale (in French). Colmar. Powaski, Ronald E. (2008). Lightning War: Blitzkrieg in the West, 1940. Book Sales, Inc. ISBN 978-0-7858-2097-0. Quadflieg, Peter M. (2008). "Zwangssoldaten" und "Ons Jongen". Eupen-Malmedy und Luxemburg als Rekrutierungsgebiet der deutschen Wehrmacht im Zweiten Weltkrieg (in German). Aachen. ISBN 978-3-8322-7078-0. Raths, Aloyse (2008). Unheilvolle Jahre für Luxemburg - Années néfastes pour le Grand-Duché. Luxembourg. Spang, Paul (1982). Von der Zauberflöte zum Standgericht. Naziplakate in Luxemburg 1940-1944. Editions St. Paul. Thewes, Guy (2002). "Nationalsozialistische Architektur in Luxemburg" (PDF). Ons Stad (71). Thewes, Guy (2008). A propos ... Histoire du Grand-Duché de Luxembourg (PDF). Luxembourg: Imprimerie Hengen. ISBN 978-2-87999-093-4. Trausch, Gilbert (2003). L'Histoire du Luxembourg: Le destin d'un 'petit pays' (in French). Toulouse: Editions Privat. Volkmann, Hans-Erich (2010). Luxemburg im Zeichen des Hakenkreuzes: eine politische Wirtschaftsgeschichte 1933 bis 1944 (in German). Paderborn: Schöningh. ISBN 978-3-506-77067-7. Weber, Paul (1948). Geschichte Luxemburgs im Zweiten Weltkrieg. Luxembourg: V. Buck. "Heim ins Reich: La 2e guerre mondiale au Luxembourg - quelques points de repère". Centre national de l'audiovisuel. Archived from the original on 10 June 2007. "Luxemburg Collaborationist Forces in During WWII". Feldgrau. The Military Administration in France was an interim occupation authority established by Nazi Germany during World War II to administer the occupied zone in areas of northern and western France. This so-called zone occupée was renamed zone nord in November 1942, when the previously unoccupied zone in the south known as zone libre was also occupied and renamed zone sud. Émile Krieps was a Luxembourgish resistance leader, soldier, and politician. A member of the Democratic Party, Krieps served in cabinets under Pierre Werner and Gaston Thorn. The Luxembourgish general strike of 1942 was a manifestation of passive resistance when Luxembourg was occupied by Nazi Germany during World War II. The strikes opposed a directive that conscripted young Luxembourgers into the Wehrmacht. A nationwide general strike, originating in Wiltz, paralysed the country and led to the occupying German authorities responding violently by sentencing 21 strikers to death. Jean-Pierre Emile Boeres (1890–1944) was a Luxembourg composer, organist and choir master. Luxembourgish Red Lion or LRL was one of the most famous Luxembourgish Resistance groups during World War II. It was founded in October 1941 in Hautcharage and was active during World War II especially in the south, west and centre of the country. In March 1944, the LRL became one of the founders of the Union of Freedom organizations or Unio'n. The Luxembourgian Patriot League, was a Luxembourgian Resistance movement during World War II. When Luxembourg was invaded and annexed by Nazi Germany in 1940, a national consciousness started to come about. The LPL was founded in 4. September 1940 at the Lycée of Echternach in Echternach by Raymond Petit. SS-Gruppenführer Eggert Reeder was a German jurist, civil servant, and district President of several regions. Reeder served as civilian administrator of Wehrmacht occupied Belgium and northern France when Nazi Germany occupied those countries during World War II. The Liberation Government was formed on 23 November 1944, when the government in exile came to Luxembourg from London and felt forced to include members of the Unio'n vun den Fraiheetsorgansatiounen, the umbrella group of the Luxembourgish Resistance which had been maintaining order since the liberation by American troops on 10 September 1944, in order to tame its critics. When Luxembourg was invaded and annexed by Nazi Germany in 1940, a national consciousness started to come about. From 1941 onwards, the first resistance groups, such as the Letzeburger Ro'de Lé'w or the PI-Men, were founded. Operating underground, they secretly worked against the German occupation, helping to bring political refugees and those trying to avoid being conscripted into the German forces across the border, and put out patriotic leaflets encouraging the population of Luxembourg to pull through. During the German occupation of Luxembourg in World War II, some Luxembourgers collaborated with the country's Nazi occupiers. The term Gielemännchen was adopted by many Luxembourgers, first to describe German Nazis in general, and later for Luxembourgish collaborators. 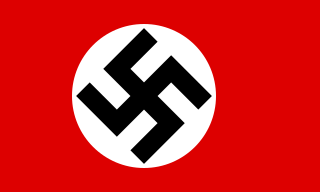 The term came from the yellow uniforms of the Nazi Party. Their number, however, was limited. The Holocaust in Luxembourg refers to the persecution and near-annihilation of the 3,500-strong Jewish population of Luxembourg begun shortly after the start of the German occupation during World War II, when the country was officially incorporated into Nazi Germany. The persecution lasted until October 1941, when the Germans declared the territory to be free of Jews who had been deported to extermination camps and ghettos in Eastern Europe. Chief of Civil Administration was an office introduced in Nazi Germany, operational during World War II. Its task was to administer civil issues according to occupation law, with the primary purpose being the support of the military command in the operational areas of the German Army. CdZ would pass his authority to a corresponding civil government after the territory in question became in the rear of the operating armed forces.